You gotta love Maine this time of year when the wild Maine blueberries are waiting to be picked. This year there seems to be a bumper crop, and I’m out there gathering. The challenge is not to eat as many as you pick! These berries are smaller than what you see in the grocery and when you put one in your mouth, it bursts with juicy flavor. I see many a salad, cobbler and muffin in the near future. Speaking of muffins, there are many different recipes for blueberry muffins. As you might guess, they have similar ingredients—flour, sugar, eggs—but in different proportions and combinations. I’ve never had one I didn’t like, but this is one of my favorites, an accidental happening when I didn’t have enough granulated sugar. Combine flour, sugars, salt and baking powder. Mix together eggs, milk and butter. Add to dry ingredients and mix until moistened. Be careful not to overmix. Spoon into greased muffin pans and bake at 400 for 18-20 minutes. Makes 12 muffins. Now make yourself a good cup of coffee or latte, find a comfortable place to sit with a book or magazine and enjoy a luscious few minutes all your own. I am so jealous of you. Every time I read one of your posts about Maine it makes me want to move! Blueberries — just another reason! Blueberries are one of the many reasons I like Maine, too! I love blueberries! !…I have copied the recipe and going to make it for my upcoming Sewing Group brunch….love the star shaped muffins! Had one for dinner tonight and the hubby thought they were the best. A simple cobbler is one of my favorite deserts and I like apple. Top with cream cheese or sour cream. 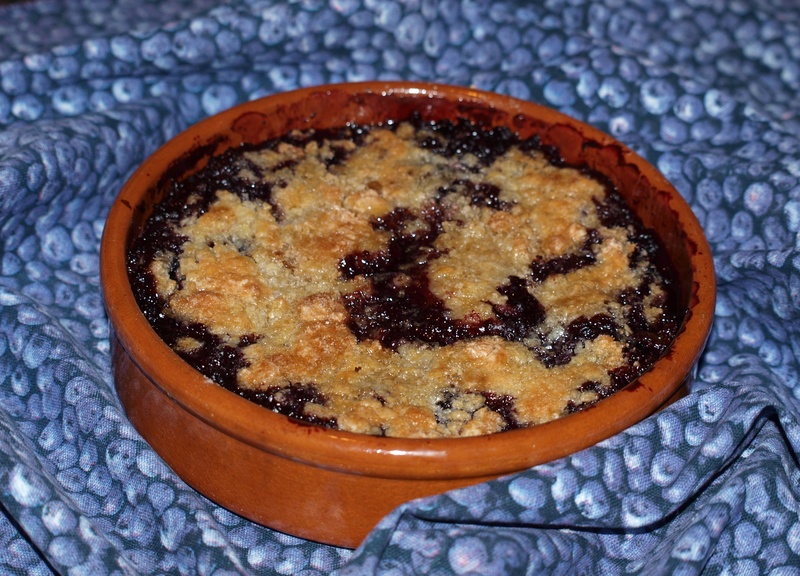 You would love the blueberry cobbler that has been a long time favorite in our house. Just back from a camping trip. If I weren’t so exhausted from dealing with all the soaking wet equipment from the storm we weathered in our tent last night, I’d be making those blueberry muffins tonight. Thanks for sharing the recipe. Excellent!!! I’m a blueberry lover, and it sure would be nice to chow down on some of those beautiful berries!!! I’ve recently become a huge fan of Ocean Spray Blueberry Juice…one more reason to love blueberries!!! Enjoy them! You wouldn’t believe how good these little beauties are! Your muffins sound good with the brown sugar. 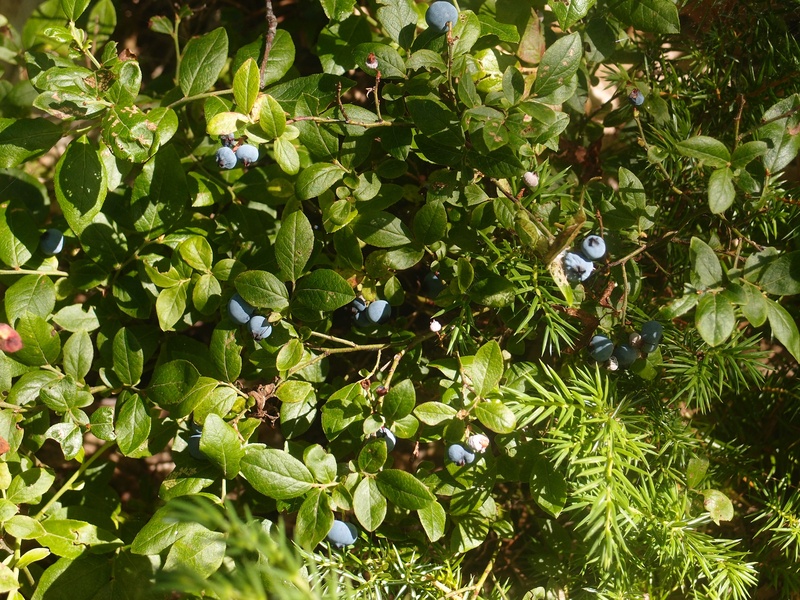 I have lots of wild blueberry bushes but the birds get to the berries before I do. Unfortunately, I have to buy my berries. I do a lot of gathering, but to be sure I have them in the freezer all year I have to supplement with a purchase. Yum! just thinking about you! Are you staying thru the fall? Will probably be here through October. 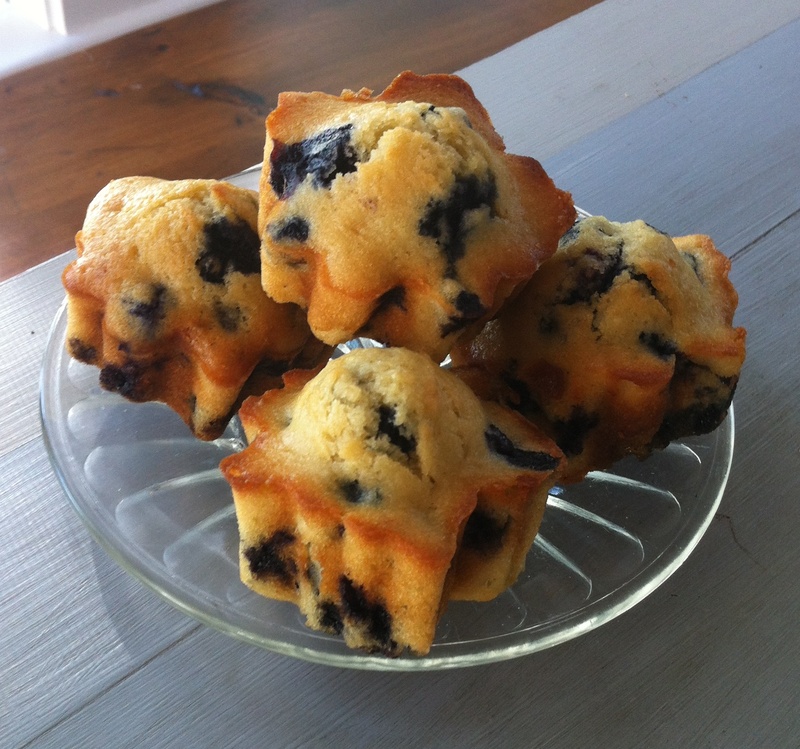 Muffins are my favorite thing to make with our blueberries that are just coming in to the farmers’ market. Your cobbler is very tempting too. Wow, I would take a vacation in Maine, right about this time of the year, just to pick some of those yummy blueberries. Love the cute little muffins, and of course the addictive blueberry cobbler! 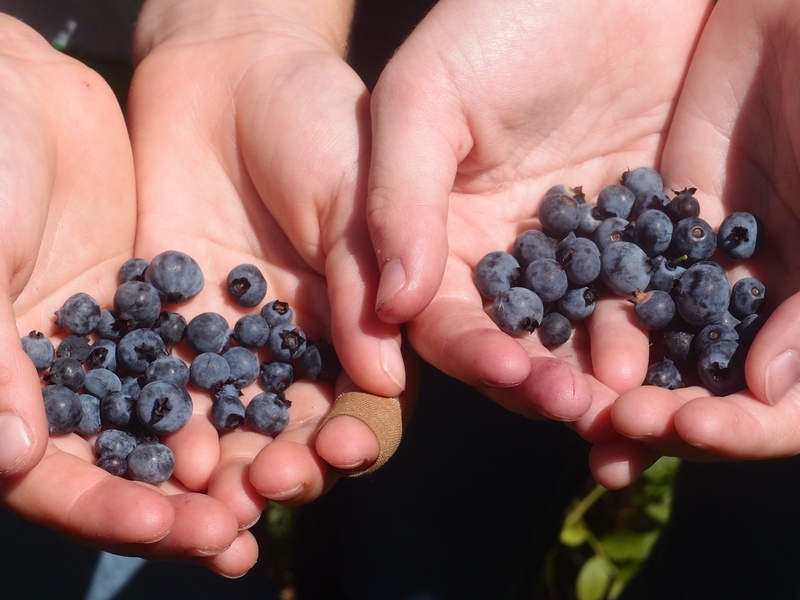 Last summer we were in Bar Harbor and picked Maine’s delicious blueberries! What a treat! Your blueberry muffins look scrumptious! Love the shape too! Thank you so much for joining ON THE MENU MONDAY with this delicious recipe! I picked quite a few and then wimped out and bought 2 flats so I’d have enough to freeze. What a mouthwatering post you have created! Oh, those luscious blueberries and your bubbly blueberry cobbler! Have a happy day, my new friend!